Kaname is a male high school student who briefly knew Fumika Kirameki back in junior-high school when they were in the same class. After he initially met Fumika the mail carrier, he recognized her face and was reminded how Fumika had shot her father three years prior, which led him to continue to search for Fumika later on. 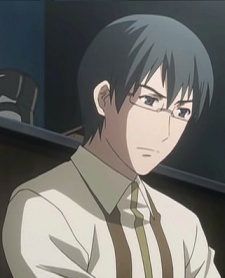 Kaname had liked Fumika in junior-high, and even went so far as to confess his love to her, but she rejected him, though Fumika the mail carrier later tells him that she was merely surprised and does not dislike him. Even now, it would seem he still has feelings for Fumika.